Set against the turbulent backdrop of the near future, The Ruins of Mars opens on the discovery of an ancient city buried under the sands of the red planet. Images captured by twin sentient satellites show massive domes, imposing walls, and a grid work of buildings situated directly on the rim of Mars' Grand Canyon, the Valles Marineris. 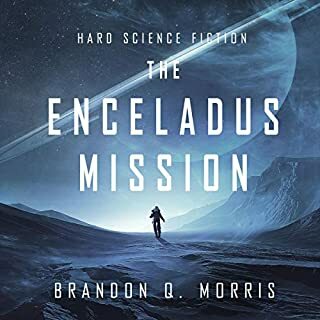 With the resources of Earth draining away under the weight of human expansion, a plan is hatched to reclaim Mars from the cold grasp of death. A working stargate dating back more than 10,000 years has been discovered in North Dakota, on a Sioux reservation near Devils Lake. Travel through the gate currently leads to three equally mysterious destinations: (1) an apparently empty garden world, quickly dubbed Eden; (2) a strange maze of underground passageways; and (3) a space station with a view of a galaxy that appears to be the Milky Way. 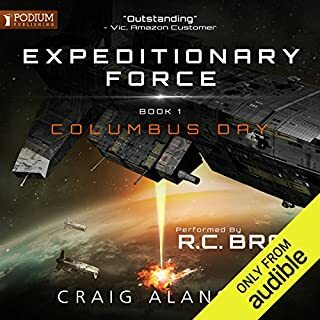 Priscilla “Hutch” Hutchins discovers an interstellar message from a highly advanced race that could be her last chance for a mission before the program is shut down for good. Hutch has been the academy’s best pilot for decades. She’s had numerous first contact encounters and even became a minor celebrity. But world politics have shifted from exploration to a growing fear that the program will run into an extraterrestrial race more advanced than humanity and war. 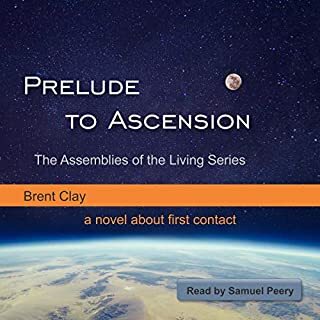 Despite taking part in the recent scientific breakthrough that rejuvenates the human body and expands one’s life span, Hutch finds herself as a famous interstellar pilot with little to do, until a message from an alien race arrives. The message is a piece of music from an unexplored area. Despite the fact that this alien race could pose a great danger and that this message could have taken several thousand years to travel, the program prepares the last interstellar ship for the journey. As the paranoia grows, Hutch and her crew make an early escape - but what they find at the other end of the galaxy is completely unexpected. I hope Jack writes a better thought out story in the next installment. 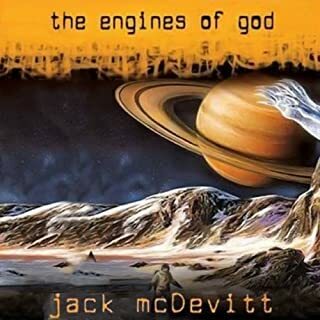 The book starts a bit slow, but the last 2/3 of it is classic McDevitt. This book took a while to get going; almost 4 hours of background and tension , and then it never stopped. t was a very good read and very moving too. I found myself stopping to ponder what I just heard several times. An interesting novel despite its pacing. The beginning is strong, and intresting. The ending is satisfying if abit abrupt. The middle is where the pace drags way down, and it becomes a real slog to get through. Ultimately I enjoyed the story, but I had to force myself to get through parts of it. 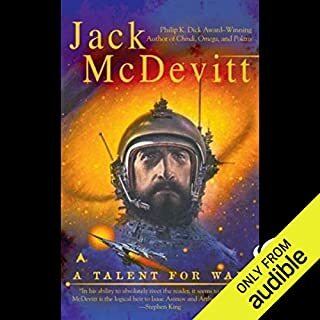 Despite shaking my head at the idea that clothespins (much less clothes) are a universal development throughout the galaxy, this was thoroughly entertaining and the most unpredictable McDevitt book I've read yet. There narration is perfect. A bumpy ride with a happy ending. It worked flawlessly for the purpose of scientific exploration of the universe. This was a great story and much like other books in the series makes you hope that similar events in real life would happen nearly as well. Great book. Hope this isn't the end of Hutch's story. 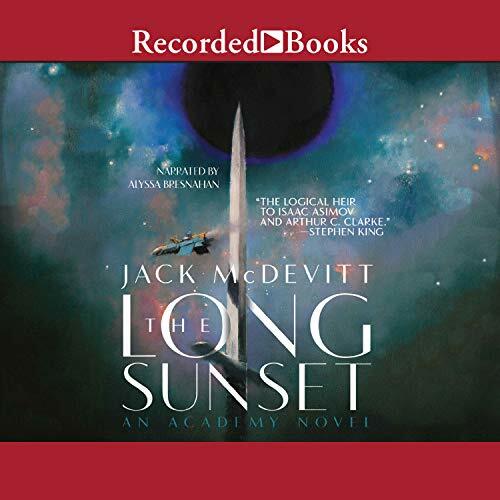 I have enjoyed both the Academy Series and the Alex Benidict Series. Compared to some sci fi's I've listened to recently this is slow and wonderful. 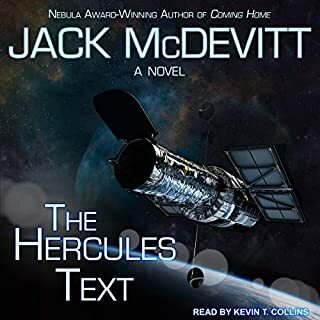 Mcdevitt is a mature storyteller and puts more depth into his minor subplots than others have in their main plotline. But it helps if you've read the previous novels in the series to get the context. One difficulty is the characters which are not as cleanly defined as they could be, and tend to do rather stupid things. That's part of the 'world', with humanity dumbing down and spending much of their time indulging in entertainments, rather than knowledge, so its in keeping, but difficult none the less. NOT AS GOOD AS SOME OF HIS PREVIOUS BOOKS IN THIS SERIES.SOME OF THE IDEAS WERE NOT DEVELOPED ENOUGH AND OTHER PARTS WERE DRAGGED OUT TOO LONG.OVERALL STILL A GOOD READ,COULD BE READ AS A STAND ALONE NOVEL.END SEEMS TO HAVE BEEN LEFT OPEN FOR A FOLLOW ON.